The Jaguar S-Type of 1963 was a shrewd piece of marketing, looking for buyers who fancied the idea of a Mk X, but who also thought that car was too big. The S-Type was developed by taking the platform of a Mk II, streamlining the nose, and fitting slim bumpers and a longer Mk X-style trunk, with significant luggage capacity. It had disc brakes all round (inboard at rear), and also used the independent rear suspension of the Mk X. Memorable as a “Goodfellas” car in England in the 1960s, the S-Type never found the fan base that loved the Mk II, but with its independent rear suspension, it was a better handling and nicely finished car. Only available with the 3.4-liter and 3.8-liter inline-six engines, the S-Type could be had with a Borg-Warner three-speed automatic transmission, and a full synchromesh four-speed was available from 1965. The last ones were sold with vinyl upholstery, so many have been retrofitted with leather. In all, 10,036 3.4-liter S-Types were built and 15,135 3.8-liter cars left the factory. Still chasing Mk X buyers, Jaguar introduced the 420 in 1966. It resembled the S-Type from the windshield back, but the nose was a scaled-down Mk X and its fittings were more luxurious. The 4.2-liter engine was fitted but only with two carburetors, instead of the three fitted to the Mk X. Available with a full-synchro box, (overdrive optional), quite a few have power steering and many were three-speed automatics. 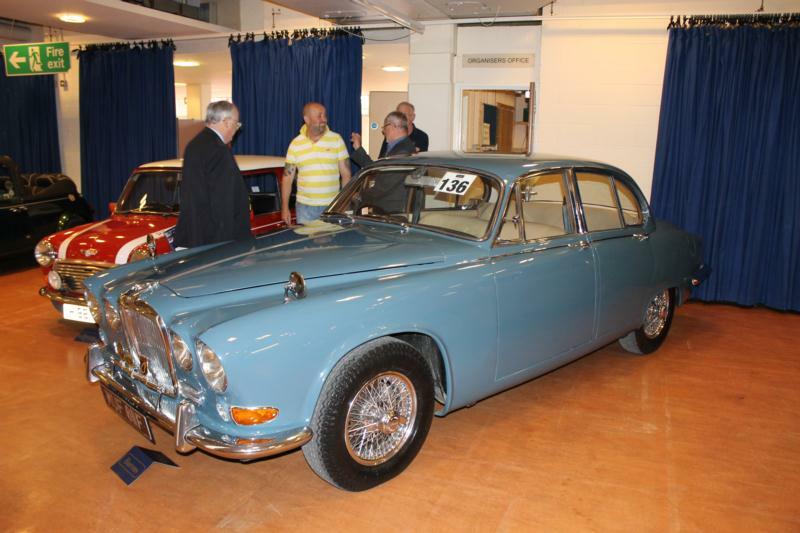 There was also a Daimler version, called the Sovereign, but apart from the fluted grille shell and badges, it was the same. Jaguar sold 9,801 420 models. Both these cars were never common in the U.S., so body parts and trim are likely to be a problem. Nonetheless, the Jaguar S-Type and 420 are very underrated cars, with designs that have worn extremely well with age.